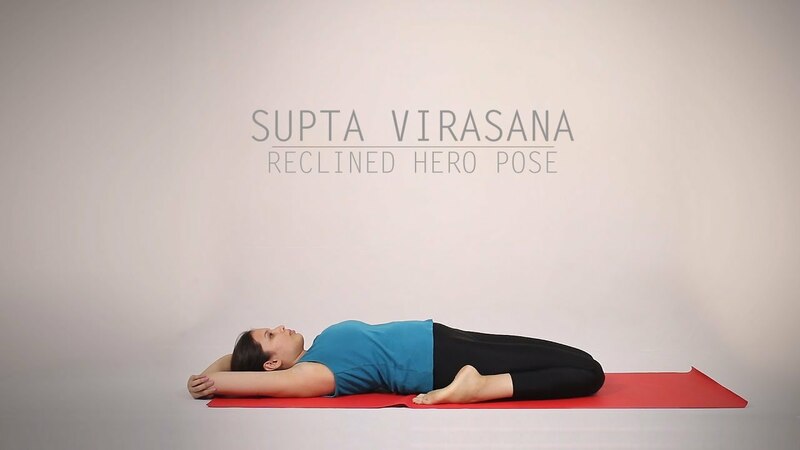 Supta Virasana (सुप्तवीरासन) or Reclined Hero Pose is a widely held yoga posture which actually is a Sanskrit word, here ‘Supta’ means ‘ reclining or lying down, ‘Vira’ means ‘chief or hero’, and ‘asana’ means ‘mudra or status’. In this Supta Virasana yoga posture, our upper body comes on the back so that it lies back on the ground. The arms are as well placed on the ground and your palms have to face the ceiling. Supta Virasana benefits are many; today let’s talk about the benefits, steps, and precautions of the Supta Virasana. How to Do Supta Virasana? 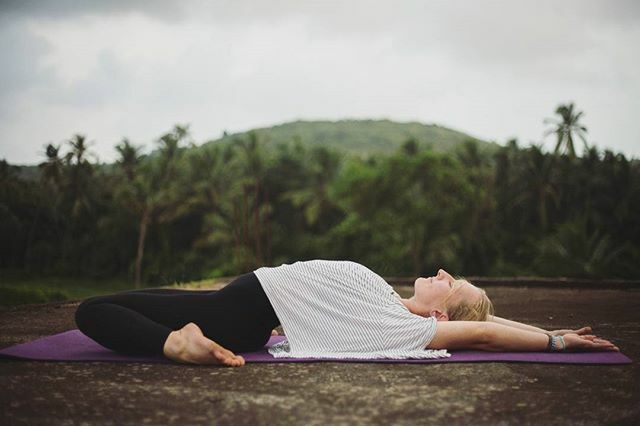 1 How to Do Supta Virasana? Hold on to this pose for 30 to 60 minutes and then slowly come back to your previous position. Under this position, you open your front body and also your heart. Consequently, regular practice of this asana helps you to promote good heart health. So, to get most Supta Virasana benefits, regularly practice this asana. It is believed that this Yoga pose can activate the body to give treatment to numerous energy centers. If you are suffering from sciatica or arthritis, then you can practice this Supta Virasana, because the posture provides many health benefits if you practice this asana regularly. By fetching more circulation in your lungs and also other respiratory organs, the posture has the benefit of asthma or other issues related to the respiratory. Practice this Supta Virasana yoga asana to stimulate digestion, reduce the pain of stomach, like diarrhea, and it also treat menstrual cramps. It is also a great way to improve digestive processes and thus now you have got more reason to use it. Often, it is felt that the body may be reclined from the upper hemisphere where your body has already been used for waist turning and hand exercises. Regular practice of this asana brings flexibility to the body, especially at the lower part of the body. Supta Virasana posture is well-known as Hero Pose; this pose not only helps in physical health but it is also a big hand in the cases of some mental issues. Therefore, as per many experts of yoga, this yoga is one of the most effective yoga Asanas which makes the inner self peaceful. As soon as you close the eyes and breathe high, you will feel that you have a calm and soothing sensation by making inner peace. This Yoga mostly focuses on pressure points in lower parts of the body and spreads in the upper parts of the body. It is a decent condition to make supplementary blood flow in the body regulating blood circulation. This is certainly one of the most significant principles for a healthy body. If you practice this Supta Virasana yoga during pregnancy, then abnormal swelling of the legs must be reduced to a substantial amount. Nevertheless, make sure that you take your doctor’s advice. Do not try it in the course of the last months of the pregnancy.